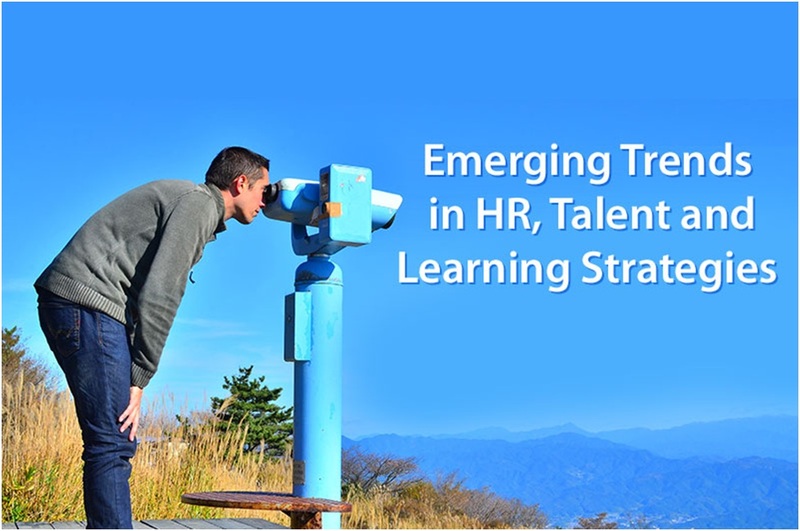 EMERGING HR TRENDS FOR THE NEXT HALF OF 2017. Performance and job satisfaction always go hand in hand. Both of these are seen to improve when employees are given the freedom to explore their creativity, and thereby help in contributing towards the business as well as their personal goals. Leading companies utilise this knowledge to cater to the growth of their employees. They tend to achieve this by developing systems which can measure and manage performance in a manner which provides them with regular and continuous feedback to employees at all levels. This has helped to remove the trend of comparative ratings in order to assess individual development, goals, and achievements. It is equally important to promote a customised healthy performance managementnot only at the organisational level, but also at an individual level. With the upcoming trend, more and more companies are using digital tools to survey employees more frequently at regular intervals and gather deeper insights regarding their employee engagement. By adopting this technology, employees also feel relatively more comfortable to share their personal observations and feedback with their employer. It is part of an HR professional's job responsibility to gather feedback from employees about the organisation by utilising the right survey and engagement tools. This information is not just collected, but the results are analysed and used to formulate new strategies for the business. Managers must utilise this information to ensure that the employees remain engaged and are willing to interact with the new survey technology so that they can appropriate actions based on the survey results. (I.) To understand their existing workforce better so that they can build a more relevant and effective HRstrategy. (II.) To evaluate the prevailing HR practices and identify areas for improvement. Emerging new technologies have enabled companies to facilitate the access of internal, customised learning experienceplatforms to meet the varied learning needs of their employees. This trend is focused on the growth of employees via ongoing training and skill upgrades not just within the organisation but outside the organisation as well. Using this approach, business specific skills and knowledge can be easily gained by employees, and they can absorb and utilise this information in such a manner that it suits their working style, schedule, and responsibilities. Digitalization has made the talent acquisition market increasingly transparent. The emerging digital era has provided unprecedented public access to data such as company information, salary figures, and employer rankings. HR professionals are taking full advantage of the advanced talent management technologies at their disposal to refine the recruitment workflow to a large extent. However, managers need to draw the line where to utilise this technology and separate it from areas where it cannot be digitalized. In countries like the U.S.organization there is a prevailing trend that around 40% of employees are being employed on a contingent basis. Hence the HR department needs to reconsider the structure of their workforce in a marketplace of contingent workers. The HR department needs to consider what kind of technologies and systems can be implemented organisation. While it is not feasible for an organisation to instantly adopt a new workforce model, however, it is always possible to consider the trial usage of contingent workers for specific projects. One of the rising trends that visible these days is diverting away from tools designed especially for HR to tools which help employees function more effectively. This trend focuses on working towards the strengths of employees and maximising their skills and formulates an HR strategy which benefits the individual as well as the organisation at large. Organisations these days are adding more emphasis on creating work-life balance in the lives of their employees so that they can create a sustainable workforce. To achieve this objective, organisations are promoting well and fitness app for their employees which can help them create a balance between their personal and professional lives. For instance, employees at Google have access to yoga, dietary counselling, work-life balance counselling etc. With digitalization, most of the HR processes can be automated these days. HR professionals have transitioned from manual HR activities to workflow driven HR Software. With the help of technology, HR can focus on automating various processes pertaining to the career and job transition of employees. While these HR trends discussed above certainly promise exiting times ahead, caution should also be exercised. Digital tools should be considered a support for organisation's strategy, rather than drive the direction of an organisation. It is of great importance to set the HR strategy first while being flexible and open towards embracing new technologies that support the department. It also important not to lose sight of the larger picture just because tools are available. The HR department still needs to analyse and discuss at length before reacting to these HR trends and diving in to embrace automation that 'could' help them in problem-solving. The HR department is no longer considered as a support function. Rather organisations these days have incorporated their roles in the core structure of their business. Organisations provide the HR with the necessary infrastructure with the supporting technology required to assist them in finding the right talent, build a better and stronger workforce, and increase job satisfaction amongst the existing employees of an organisation.